Register for the Fall Session of Neighborhoods Now! Inspector Aaron Biard was able to sit down with two of the Promise Zone's AmeriCorps VISTAs and tell them about himself, explain the plans he has for the Northside, and talk about the path that lead him to his current position. After growing up in Minneapolis, serving in the National Guard as Military Police, and receiving a Criminal Justice Studies major from St. 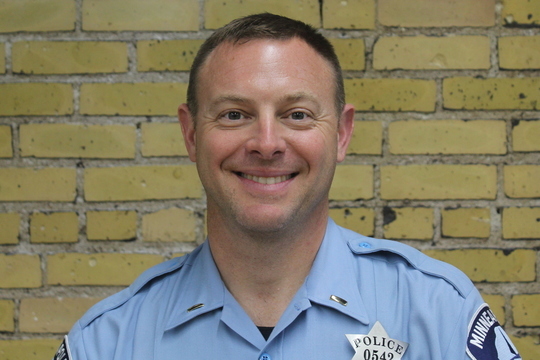 Cloud State University, Biard came back to his home town to become a Minneapolis Police Officer. Working his way through the ranks, Biard has been able to experience and grow from working in several different areas of the police department. His commitment to MPD and the community on the Northside have led him to his current position of Inspector of the 4th Precinct. The training package includes three staff workshops including A Shift in Approach, Youth Engagement Tools and Strategies, and Evaluation for Equity, as well as assessment tools, an action plan, on-call support and follow up evaluation. FOR A LIMITED TIME, funds are available to cover the training costs for qualifying organizations! This training package costs $10,000, but it's an eligible use of Management Improvement Funds, thanks to the Saint Paul Foundation and Blue Cross Blue Shield of MN Foundation. Grant guidelines and eligibility criteria can be found here. But hurry! Applications are due August 23rd! More information about the training. The course is October 2-6 from 10 a.m. - 4 p.m. each day. The course will also have select guest speakers in the field, a field action, and graduation. Location is to be announced. Registration deadline is September 25. July 12-August 26 for the "Give-a-Way." This is to ensure that every child has a backpack, pencils, paper, pens, rulers, crayons, etc. when they go back to school. Lite refreshments will be served! Renter Nation Series Episode 2 featured a powerful discussion about the historic and disproportionate ways that black communities have been impacted by gentrification and the need for anti-gentrification/anti-displacement struggles to center black resistance, leadership and liberation at the heart of our movements. It's August and the Squad of Players Adult Kickball League is nearing the end of its third season. Last Sunday's set of All-Star games, with a rib cook-off contest and a skills competition to judge the longest kick and the fastest around the bases, took place at North Commons Park in North Minneapolis. Days after the apparent successor to former Minneapolis Police Chief Janee Harteau pledged to repair the department's relationship with the community, a town hall meeting in the Fulton neighborhood demonstrated just how much trust has eroded since a police officer shot and killed a woman in that neighborhood in July. Ask the people who live and work in north Minneapolis what they'd like to see on W. Broadway and they won't hesitate to share their wish lists: a dry cleaner. A movie theater. A FedEx. A restaurant with cloth napkins. "Some of the things you take for granted elsewhere, you just don't have in north Minneapolis," said Rob Hanson, executive director at the West Broadway Business and Area Coalition. By early 2009, Kristin Pardue, a University of Minnesota MBA, was a veteran of General Mills, GE and a top strategist to then-CEO Marilyn Carlson Nelson at Carlson Cos. She liked her work. It also was time, she felt after 20 years on the corporate runway, to see if she could fly solo. Minnesota philanthropies are putting more time, money and political clout into efforts aimed at getting jobs for the state's neediest residents. The new focus reflects a growing sense that the most effective way to address homelessness, poverty and the effects of racial disparities may be through job training and workforce development. Every Thursday, 11 a.m. - 2 p.m.
August 21, 2017 - 4-7 p.m.
August 26, 2017 - 11 a.m. - 3 p.m.
August 26, 2017 - noon-8 p.m. The National Park Service's (NPS) FY 2017 African American Civil Rights Grant Program (AACR) will document, interpret, and preserve the sites related to the African American struggle to gain equal rights as citizens in the 20th Century. The NPS 2008 report, "Civil Rights in America, A Framework for Identifying Significant Sites," will serve as the reference document in determining the appropriateness of proposed projects and properties. AACR Grants are funded by the Historic Preservation Fund (HPF), administered by the NPS. Grants will fund a broad range of planning and research projects for historic sites including: survey, inventory, documentation, interpretation, and education. Grants are awarded through a competitive process and do not require non-Federal match. ***There are separate funding announcements for physical preservation projects and for historical research/documentation projects. Through this NOFA, HUD is announcing the availability of approximately $56 million for its Community Compass Technical Assistance and Capacity Building Program (Community Compass), HUD's integrated technical assistance and capacity building initiative. Community Compass is designed to help HUD's customers navigate complex housing and community development challenges by equipping them with the knowledge, skills, tools, capacity, and systems to implement HUD programs and policies successfully and provide effective administrative and managerial oversight of HUD funding. The goal of Community Compass is to empower communities by providing effective technical assistance and capacity building so that successful program implementation is sustained. HUD recognizes that its customers often interact with a variety of HUD programs as they deliver housing or community development services. Community Compass brings together technical assistance investments from across HUD program offices, including the offices of Community Planning and Development, Fair Housing and Equal Opportunity, Housing, and Public and Indian Housing. This cross-funding approach allows technical assistance to address the needs of grantees and subgrantees across multiple HUD programs, often within the same engagement, as well as address cross-agency issues. HUD is making available through this NOFA $7,450,000 for Fair Housing Initiatives Program Education and Outreach Initiative. Additional funds may become available for award under this NOFA as a result of HUD's efforts to recapture unused funds, use carryover funds, or because of the availability of additional appropriated funds. Use of these funds will be subject to statutory constraints. All awards are subject to the applicable funding restrictions described in the General Section and to those contained in this NOFA. FHIP funds are used to increase compliance with the Fair Housing Act. This year, funding is available under three Initiatives: Private Enforcement (PEI), Fair Housing Organization (FHOI) and Education and Outreach (EOI) Initiatives. Multi-year awards beyond FY2017 funding are subject to appropriations and the availability of funds. For FY2017, funding for each initiative is listed under a separate NOFA, therefore, applicants must apply under the correct NOFA to be considered for funding. Additionally, if an applicant is eligible and applies for funding under separate initiatives and/or components, the applicant must submit a separate application under the correct NOFA for each component the applicant applies. This NOFA will consider applicants applying under EOI only. HUD is making available through this FHOI NOFA $500,000 for Fair Housing Initiatives Program. Additional funds may become available for award under this NOFA as a result of HUD's efforts to recapture unused funds, use carryover funds, or because of the availability of additional appropriated funds. Use of these funds will be subject to statutory constraints. All awards are subject to the applicable funding restrictions described in the General Section and to those contained in this NOFA. Funding for additional years beyond FY2017 is subject to the availability of appropriations. FHIP funds are used to increase compliance with the Fair Housing Act. This year, funding is available under three Initiatives: Private Enforcement (PEI), Fair Housing Organization (FHOI) and Education and Outreach (EOI) Initiatives. However, for FY2017, funding for each initiative is listed under a separate NOFA. Applicants must apply under the correct NOFA to be considered for funding. Additionally, if an applicant is eligible and applying for funding under separate initiatives and/or components, the applicant must submit a separate application under the correct NOFA for each component the applicant applies. This NOFA will consider applicants applying under the FHOI Initiative only. Multi-year awards beyond FY2017 funding are subject to appropriations and the availability of funds. HUD is making available through this PEI NOFA $30,350,000 for Fair Housing Initiative Programs. Additional funds may become available for award under this NOFA as a result of HUD's efforts to recapture unused funds, use carryover funds, or because of the availability of additional appropriated funds. Use of these funds will be subject to statutory constraints. All awards are subject to the applicable funding restrictions described in the General Section and to those contained in this NOFA. Funding for additional years beyond FY2017 is subject to the availability of appropriations. FHIP funds are used to increase compliance with the Fair Housing Act. This year, funding is available under three Initiatives: Private Enforcement (PEI), Fair Housing Organization (FHOI) and Education and Outreach (EOI) Initiatives. However, for FY2017, funding for each initiative is listed under a separate NOFA. Applicants must apply under the correct NOFA to be considered for funding. Additionally, if an applicant is eligible and applying for funding under separate initiatives and/or components, the applicant must submit a separate application under the correct NOFA for each component the applicant applies. This NOFA will consider applicants applying under PEI only. This funding opportunity announcement (FOA) encourages the development of innovative educational activities for pre-kindergarten to grade 12 (P-12), pre-service and in-service teachers (Teachers) and students from underserved communities with a focus on Courses for Skills Development, Research Experiences, Mentoring Activities, Curriculum or Methods Development and Informal Science Education (ISE) projects. The DDETFP Graduate Fellowship provides funding for students to pursue master’s or doctoral degrees in transportation-related disciplines. The program objectives are: 1) to attract the Nation's brightest minds to the field of transportation; 2) to enhance the careers of transportation professionals by encouraging them to seek advanced degrees; and 3) to retain top talent in the transportation industry of the United States. The DDETFP is intended to bring innovation and enhance the breadth and scope of knowledge of the entire transportation community in the United States. The National Heart, Lung, and Blood Institute intends to publish a Funding Opportunity Announcement (FOA) to solicit applications for a Coordinating Center (CC) to support the Programs to Increase Diversity among Individuals Engaged in Health Related Research (PRIDE). The PRIDE CC will provide programmatic support to the PRIDE Summer Institutes (R25) whose goal is toenhance the diversity of the biomedical, behavioral and clinical research workforcethrough provision of research education and mentoring programs for junior faculty from under-represented backgrounds. This Notice is being provided to allow potential applicants sufficient time to develop meaningful collaborations and responsive applications. The Nationally Significant Freight and Highway Projects (NSFHP) program provides Federal financial assistance to highway and freight projects of national or regional significance. The Department of Transportation is referring to this program as the Infrastructure for Rebuilding America (INFRA) program. This notice solicits applications for awards under the program’s FY 2017 and FY 2018 funding, subject to future appropriations. - National and/or state-level economic growth. The purpose of this FOA is to support investigator-initiated R01 applications that will inform our understanding of the typical and atypical patterns of language and literacy development of dual language learners (DLLs) in the United States. Applicants are encouraged to take advantage of advances in the language sciences and related fields to identify and clarify specific cognitive, linguistic, neurobiological, and sociocultural factors associated with normal and impaired language and literacy acquisition in young DLL populations. This Funding Opportunity Announcement (FOA) invites Small Research Grant (R03) applications to study the ethical, legal and social implications (ELSI) of human genome research. These applications should be for small, self-contained research projects, such as those that involve single investigators. Of particular interest are projects that propose normative or conceptual analyses, including focused legal, economic, philosophical, anthropological, or historical analyses of new or emerging issues. This mechanism can also be used for the collection of preliminary data and the secondary analysis of existing data. This notice solicits applications for the Health Center Program’s Service Area Competition (SAC). The Health Center Program supports public and private nonprofit community-based and patient-directed organizations that provide primary health care services to the Nation’s medically underserved. The purpose of the SAC NOFO is to ensure continued access to affordable, quality primary health care services for communities and vulnerable populations currently served by the Health Center Program. The NIH Research Education Program (R25) supports research education activities in the mission areas of the NIH. The over-arching goal of this National Institute of Allergy and infectious Diseases (NIAID) R25 program is to support educational activities that complement and/or enhance the training of a workforce to meet the nations biomedical, behavioral and clinical research needs in NIAID mission areas. The FSS program supports the Department's strategic goal of utilizing housing as a platform for improving quality of life by helping HUD-assisted renters increase their economic security and self-sufficiency. The FSS program promotes the development of local strategies to coordinate the use of assistance under the HCV and PH programs with public and private resources to enable participating families to increase earned income and financial literacy, reduce or eliminate the need for welfare assistance, and make progress toward economic independence and self-sufficiency. PHAs or tribes/Tribally Designated Housing Entities (TDHEs) that administer FSS programs enter into five-year contracts with new families on an ongoing basis. The FSS contract spells out the terms and conditions governing participation and the responsibilities of both the PHA (or tribe/TDHE) and the family. PHAs are not permitted to limit FSS participation to those families most likely to succeed because of current education level or job history.